As we move into the first week of June already, and half term for many of us, my mind has turned to the importance of balancing our lives. We have had a really busy time lately at MFML – we have changed the My Subscription page, which I hope you like. And today we have launched a new feature, which is the ability to practice to music, if that’s your kind of thing. All you need is a Spotify account and then just check out the “Music To Move To” section in the sidebar by every video. We have so many exciting, new features and so much new content lined up for the second half of the year, it really is an exciting time for all of us. We have also just returned from Manchester Yoga Show, which was just amazing. The whole team were there and we met so many lovely movers and made many new friends. We also said hi and High Fives to some of our favourite teachers, Zephyr, Andrea, Dylan and Uma. What an amazing time. This weekend, I am also presenting at the Business of Wellness Summit, which is bound to be amazing and has a wonderful line up. 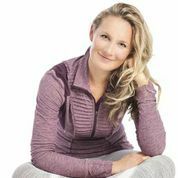 If you’re able to get to London this Saturday and want to hear my thoughts on the Business of Wellness, do come along, it’d be great to meet you and answer your questions. And to top it all, I’m thrilled to have been made Contributing Editor for Yoga at Psychologies Magazine – how exciting is that?! I’ve also written a little blog, the first of a new series of blogs I’m writing to clarify my mission and goals in moving MFML forward. I do hope you enjoy this! But all of this change, all of these activities, cause an imbalance in life. And during half term, when many of you will be dashing around pleasing children, juggling work, health and family – I’m sure that balance will be an issue on the forefront of many of our minds. Everyone talks about a healthy balance in life, but sometimes it’s really hard to strike that balance. If you’re like me, you can just get excited about everything and over-commit. And that can be wearing to any of us. This is where yoga at home, for me, comes into it’s own. I’m more often than not too busy to fit going to a class into my schedule, but can I just roll out my mat exactly where I am and just start to move? I sure can! But when our minds are busy, sometimes it’s too hard to relax and Yin how we’re meant to – and we need to just keep moving through it. Balance postures are always really challenging for me – and I think that this reflects how hard I find it to find balance in life. 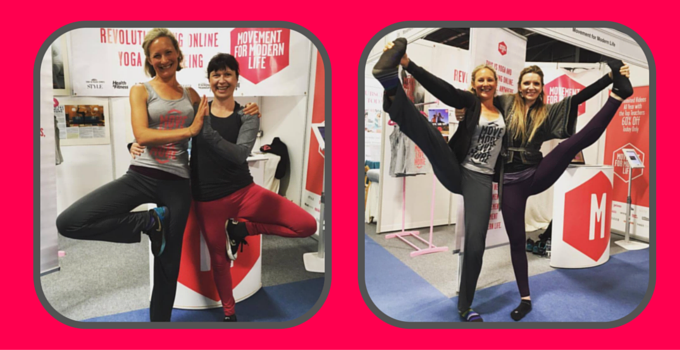 So here we have the perfect class for this week – amazing Andrea doing a standing and balancing class. It’s a beautiful practice, an hour long and I hope that you can find time in your busy life to take time for yourself and work on the balance we’re all seeking to find in every aspect of our lives. I did, I took the hour out of my schedule, got on my mat and an hour or so later, big grin, restored balance, bounce in the step as I remembered why I get so over-excited about our teachers, our classes and doing yoga at home. I do hope that you find the same. 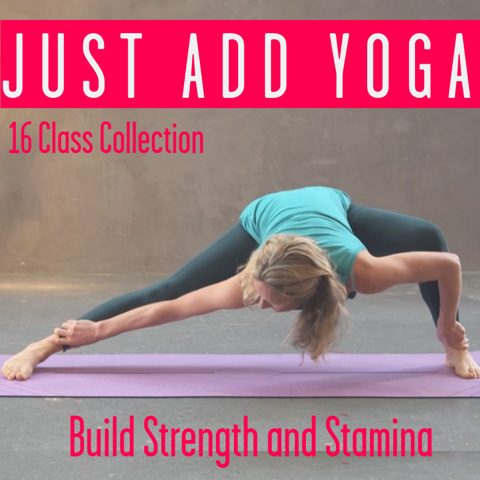 This entry was posted in Inspiration // Empowerment and tagged about yoga, articles, balance, online yoga retreat, yoga anywhere on June 5, 2016 by Edith Johnson.